We’ve said it before and we’ll say it again: one of the biggest reasons a home doesn’t sale is pricing. A smart asking price can be the key ingredient to the success of your home’s sale. Even in a bad market, a home will sell if the price is right. Choosing to forego expert advice, however, can lead to your listing stalling out on the market, which usually results in a price drop. While asking for less may help you sell your home, there are some consequences of price drops that could be counterproductive to the sale. There are a handful of reasons sellers give for padding the asking price of their home. Some point to unique, decorative features–like a brick pizza oven or wine cellar–as evidence that their property’s value is higher than it actually is. But quirky add-ons, as opposed to neutral touches, have a higher chance of backfiring. Not all buyers will share your same tastes and some upgrades–like a luxury bathroom or tricked out kitchen–won’t garner as many returns on investment as homeowners think they will. There’s also the mistake of setting an asking price based on what you need from the sale rather than what the home is actually worth. 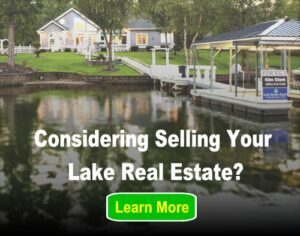 Some lake homeowners aren’t likely to get as much from the sale of their home as they may have originally planned. Thanks to the 2008 recession, the demand for secondary homes isn’t as high as it was a decade ago. According to Forbes, vacation homes have been slower to rebound from the housing bust than have off-lake properties. In fact, in the past ten years, markets with the highest concentration of vacation homes have underperformed in every year but 2010. So while a seller may be adamant about selling his lake home at a certain price point, his property may not have bounced back enough from the housing bust to make it happen. 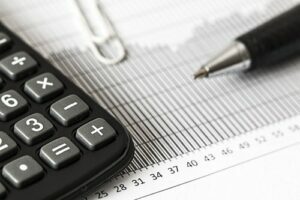 Unfortunately, buyers don’t care what a seller needs for personal finance reasons. They’re only concerned with the home’s true value. Anything can happen that results in an inflated asking price. But when a seller finally decides to lower expectations, there are consequences. Price cuts usually happen after a home has sat on the market for too long and “too long” can mean different things for different agents. To prevent a listing from “going stale”, some agents suggest price cuts after two weeks on the market, while others will give it a month. Either way, after a significant price drop or too much time on the market, one question always arises: “What’s wrong with it?” Potential buyers understand that you get what you pay for, so a listing that frequently gets cheaper and cheaper will have them questioning the quality of your home. Even if there are no significant structural issues with the property, a potential buyer who’s already made negative assumptions about your home will be conditioned to see the glass as half empty no matter what. Each price decrease also indicates a seller that lacks confidence in her own asking prices. And once you mark your home down once, some buyers will just wait for another price cut. If the seller isn’t confident in the asking price, why should the buyer be? This leads to even more time unsold and puts your property at higher risk for going stale. In real estate, an extra week or two added to a home’s shelf life can make a big difference. Your real estate agent’s goal is to sell your home as quickly as possible for the best price. He should have enough market knowledge at their disposal to calculate your home’s true value which, if you follow his suggestions, will help the listing move faster. So price it right the first time by trusting the expertise of an experienced professional.